There are 4 main options to get from Krabi Airport to Koh Lanta. Here are the details on each option and how to make a booking or buy tickets. 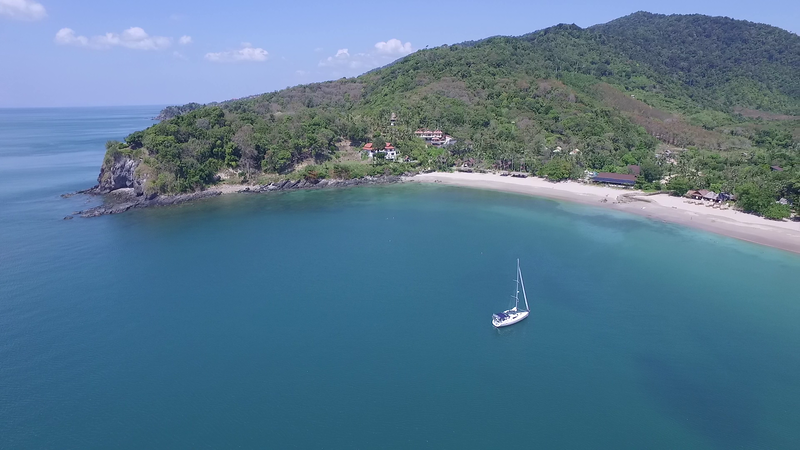 The Krabi Airport to Koh Lanta speedboat transfer is the fastest way to get to Koh Lanta. You are met at the airport by your transfer driver. You are then driven in an air-conditioned minivan to the speedboat pier. This is a 45 minute journey. You then transfer onto the speedboat. The driver and speedboat crew will carry all your luggage for you. You then have a scenic 15 minute speedboat ride. You leave Krabi mainland, pass by the small island of Koh Lanta Noi, and then arrive at Koh Lanta. Once you arrive at the pier on Koh Lanta, there will be a open-sided truck waiting to take you direct to your hotel. This can be a 10 minute to 50 minute journey depending on your hotel’s location. Book your Koh Lanta speedboat transfer online. The speedboat transfer price is 2045 Thai Baht per person. The minivan transfer is private – it is only for you, your family and friends. It does not pick up any other guests. Up to six members your group can be in one minivan transfer. This lets you travel in comfort. You are then driven in an air-conditioned minivan to the car ferry crossing to the small island of Koh Lanta Noi. There can be considerable waiting times for the car ferry in high season. You are then driven across Koh Lanta Noi to the other side of the island, where there is a bridge to Koh Lanta. The minivan proceeds over the bridge and directly to your hotel location on Koh Lanta. The private minivan transfer price is 3000 Thai Baht total. Up to six people can be in the minivan and the price remains as 3000 Baht. The Krabi Airport To Koh Lanta Shared Minivan Transfer follow the same route as the Private Minivan Transfer above. The main difference is that you will have to wait for other passengers to arrive at the airport before you depart. The minivan typically does not depart until all seats in the van are full. The Shared Minivan Transfer minivan transfer is ideal for solo travellers or people with very little luggage. If you are claustrophobic, the shared minivan is not recommended as conditions can be quite cramped and hot. If you feel confident about driving on Thailand’s roads, you can hire a car at Krabi Airport. You can book in advance online. Please remember that driving in Thailand is very different to driving in the West – there are many hazards and road safety education is minimal. Unless you are already experienced at driving in Thailand, it’s recommended to take a transfer.